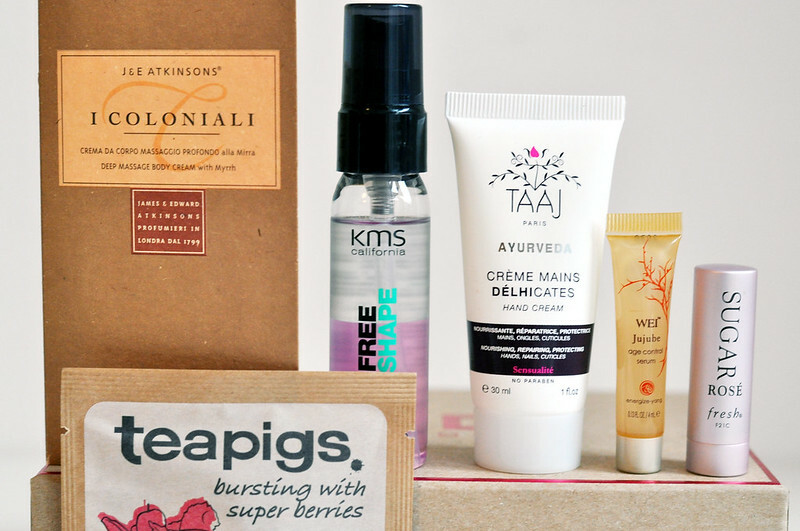 So Joliebox has now turned into a UK Birchbox which is quite exciting. I'm hoping this will mean we'll be able to try some American products that we can't really get over here like the Fresh lip balm. 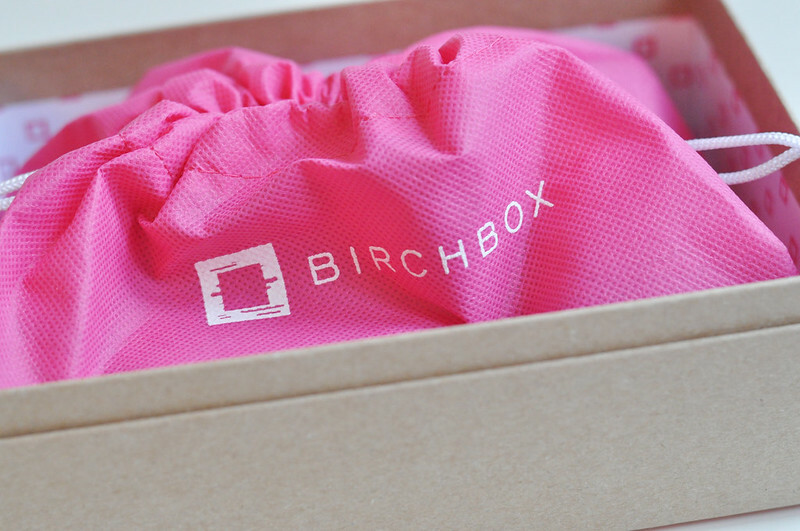 I also much prefer the Birchbox packaging to the black boxes from Joliebox. I do wish they were more Glossybox size though for when I use them as storage. I'm really impressed with this months box and I'll give everything a try. I Coloniali Deep Body Massage Cream With Myrrh - As it's in a sachet I don't know what it smells like yet but I'll probably dry it out over the weekend. As it's described as a deep massage cream I imagine it to be very moisturising and rich. KMS California Quick Blow Dry - Even though I don't dry my hair with a hair dryer I wonder if it'll speed up my hair drying naturally?? I'll have to test it out when I next wash my hair as I hate waiting for it to dry. It smells nice too and is meant to detangle and soften hair. Taaj Hand Cream - I always love trying new hand creams and this is a nice every day one. It sinks into the skin really quickly and leaves your hands feeling nice and soft. It's meant to have a cinnamon scent but I can't really smell anything. Wei Jujube Age Control Serum - My mum has already asked for this so I'll probably let her use it. Full size is £60 so hopefully she wont fall in love with it! The Chinese herbs and jujube extract help to calm redness and soften the look of fine lines. Fresh Sugar Rose Lip Treatment - Finally the product that made the box amazing, a Fresh lip balm. If you read my post the other day you'll know how much I love these. I love the scent, the packaging and how they feel on the lips. Teapigs Superfruit Tea - I love Teapigs tea and have actually already tried the Superfruit version. I like it but I don't think it's any different to say Clippings fruit tea which is cheaper. I do love their mint and licorice tea though which I happily pay a bit more for. This looks a good box! Lovely post and love the photos. 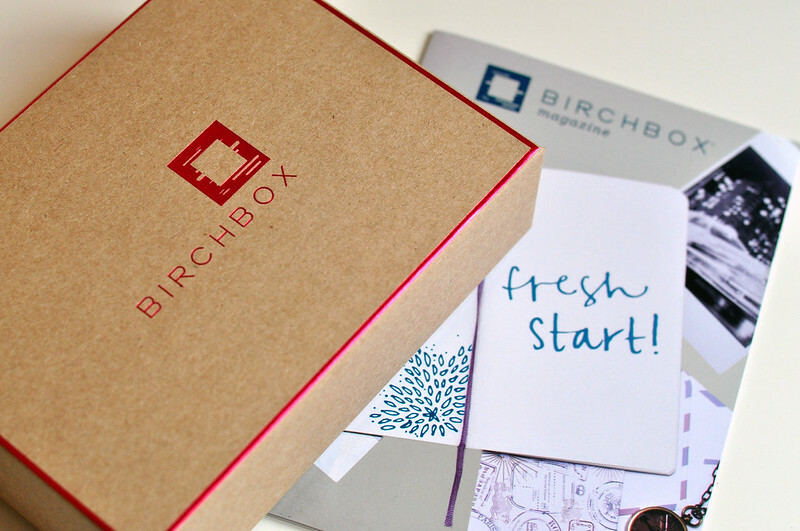 Exciting to see its now Birchbox hopefully they will send American products.